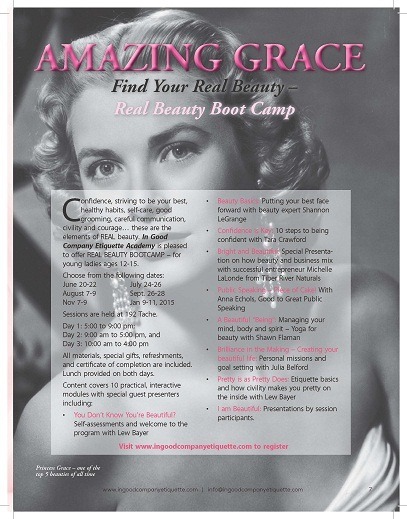 Real Beauty Beauty Camp! Young Ladies 12-15! Includes lunches and all materials – certificate and special gifts. Being a real beauty is not the same as being really beautifu l- at least not in the way many people think. Sure it’s important to look good – but real beauty is something you find. You find it when you find your courage, confidence, and character and you build it when you practice civility and grace. Register online today!